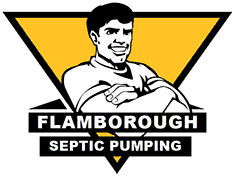 Flamborough Septic has been providing septic tank services for Oakville residents for 50 years. With our expertise and timely septic tank pumping, you will be able to keep your septic tank in the best working condition possible. Apart from your routine septic tank pumping in Oakville, it is also recommended that your tanks be inspected by a professional if you are going to be selling or purchasing a home with a septic system. Our honest, timely and reliable septic tank inspection services have made it possible for us to deal with many repeat customers in Oakville and the surrounding areas. For all your septic tank pumping, inspections and maintenance needs in Oakville, call Flamborough Septic at 905-689-0333.